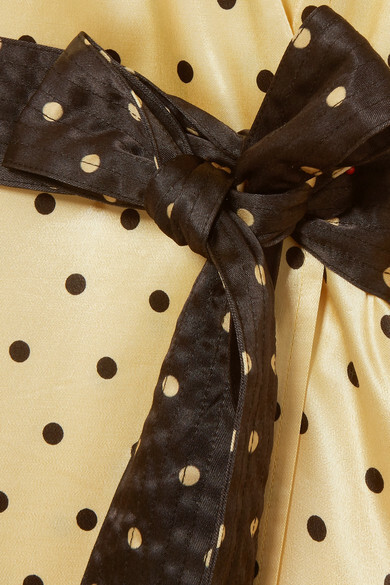 Polka-dots are a graphic alternative to florals - but just as pretty, making them perfect for all kinds of special occasions between now and spring. Stine Goya's 'Reflection' dress is cut from slinky yellow and black satin in a flattering wrap silhouette, and has a contrasting spotted belt to accentuate your waist. Shown here with: Hillier Bartley Wristlet bag, BY FAR Sandals, Alighieri Earrings.